Yes, i am back from Penang...after a 7 night and 8 days holiday in Penang. Flew into Penang last last wednesday and came back by car. What a long journey as we stopped on the way to a few relative's place. 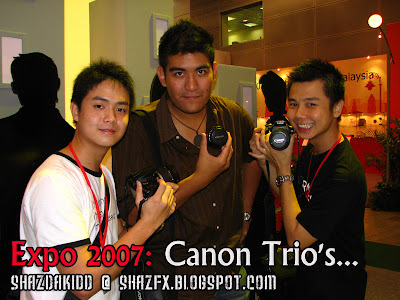 Today, i was at the Canon Expo 2007 happening at KLCC Convention Center for the next few days. You can come over here and enjoy a myriad of experiences on the latest Canon products and many more. Entrance is FREE, what else... just come over!!! Met up with Eugene and Patrick here today. 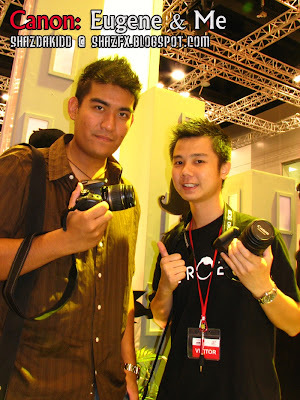 Bloggers too... well what a great day today, went for lunch at Madam Kwan's with a friend, then tea at Burger King with Eugene... just before that the Canon Expo. I gotta head on to McDonald''s now to meet up with Joshua and Asyraf for supper... its pretty late! Have fun and will put up more info's real soon!!! 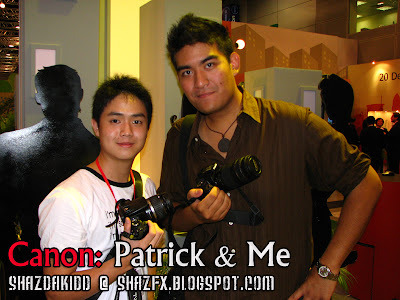 Met up with Patrick here... Wahh the guy brought so many lenses la! The one to die for...18-300 lens!!! 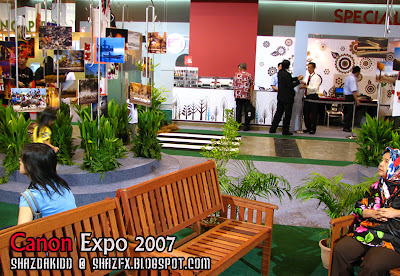 If i am not mistaken la... forgotten already! Eugene is a true HEROE :P got the whole backpack with all his lenses!